My introduction to inshore fishing was a day beyond my wildest dreams. My Regional Vice President was asked to film a segment for a regional fishing show with two Redfish tour professionals. As luck would have it, he had a scheduling conflict and asked me to fill in for him. Eagerly, I accepted and spent days dreaming about the adventure before me. "The Bulls hit like their namesake and increasing to a 3' 40lb. mono leader will give a better chance of landing these dinosaurs!" I spent about 8 hours casting and retrieving along dozens of stops throughout Titusville, Florida's Mosquito and Indian River Lagoon flats and caught nothing more than a sunburn...and about 8 hours of tips from the professionals. I didn't catch a single fish that day in 2007, but I caught something much more significant; the inshore fishing bug! That experience was enough to fuel my desire and shortly after I landed my first Redfish, igniting an eternal flame for inshore fishing. About two years after that first trip, I joined a friend on an inshore trip and learned how to catch Redfish with cut bait. We landed a few gorgeous slots (slots are Redfish 18"-27" in length and legal to keep) and it was on. With the new techniques I had learned, I sought a return trip to Mosquito Lagoon and landed some serious Bull Redfish. Next were some awesome trips to the tidal waters of coastal Savannah, then back to the Indian river Lagoon, Sebastian Inlet, the Banana River, the St. Johns River, Palm Coast, St. Augustine. As I said, I caught the bug! "I cast multiple lines and fish as many as five at a time off the bow and stern of the boat, in both shallow and deeper flats." Redfish are a diverse group. While the same species, fishing for Reds calls for various tackle and bait depending on the location and time of the year. For sight fishing in and around Mosquito Lagoon, I use lighter tackle and my Shimano Stradic 4000, which is a bit larger than rigs most anglers will use. I have that reel spooled with 15lb. Power Pro Slick, and it sits on an old 7' Redbone medium action spinning rod. I like that rig for the lagoon because it seems like I can cast a Voodoo or DOA shrimp a mile without additional weight. The larger spool makes retrieval easy and fast - I can fish that rig all day. I also carry two Shimano Solstice 2500, spooled with 12lb. Power Pro and fastened to a Star Aerial, 6-12lb., 6'6" spinning rods. Sometimes I bring along a Daiwa combo or one of my other spinning combos on 6-12lb. Contour rods. Any of these rigs are great for sight fishing and casting artificial baits for Reds. I have had some memorable catches with the above mentioned artificial shrimp, as well as with Gulp Rootbeer or Pearl shrimp. I also like Z-Man and Exude soft plastics on DOA CAL heads, Gotcha and Z-Man heads. Recently, I have been turned on to Christmas Tree colored paddle tails, which seem to be the latest hot ticket! There are thousands of anglers who know the lagoon better than me, but I have had my best luck in the lagoon early mornings within 1-2 hours of daybreak and with a little wind and ripple on the surface. Mosquito lagoon Reds are skittish and easy to spook. I have found on those dead calm days I see more fish running for cover than chasing baits. If you're fishing this same water, please be respectful of the no-motor zones. Plan for a long day as poling the flats does not make for a quick morning trip out and back to the ramp. Equally enjoyable and a bit less technical, is fishing for Red beauties with cut bait. The pal I mentioned earlier got me hooked on using cut Ladyfish and Mullet, heading to the soft side of Spoils Islands or Causeways and letting them sit. "I suggest mixing different baits and techniques to determine your own favorite baits, lures, and methods!" When using cut baits, I usually rig my lines with Owner 2/0 and 3/0 circle hook pre-rigs as they are quick, easy to rig and dependable. These rigs use 20lb. and 30lb. monofilament leader and small, strong swivels. I carry dozens of additional hooks from sizes 1/0-4/0 for replacements. Unless I find myself in a strong current, I fish these rigs with a good 2" chunk of bait and no weight. I cast multiple lines and fish as many as five at a time off the bow and stern of the boat, in both shallow and deeper flats. Sometimes, I will set two or three on the bottom and then cast an artificial Shrimp or shad around. I also will sometimes use frozen or live Shrimp, but frozen Shrimp seems to assure me a higher number of Catfish and Puffer Fish, neither one a species I'm after. When using live Shrimp, I will fish slightly deeper water, 2-6', and set up half my rods with popping corks of any sort. Cajun Thunder, Thunder Chicken, DOA, and any other popping corks work well. I still fish multiple lines and cast, pop a few times, and then let them set. 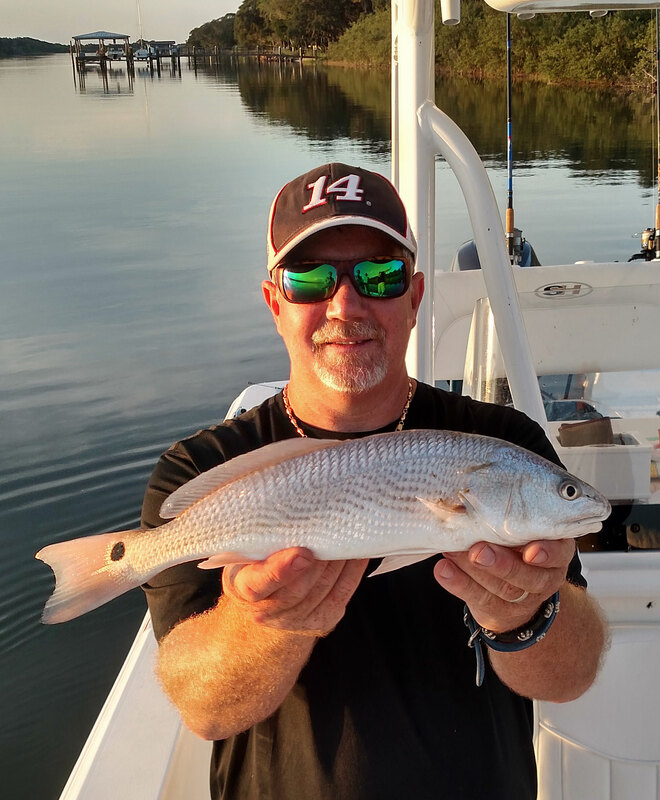 These rigs usually land Trout and almost always Ladyfish, which are a blast to catch and such great bait to take right back towards the Spoil Islands and chunk for more Reds! When the Bull Reds are in the lagoon or the inlet, I use slightly heavier rigs; 4000 series spooled with 30lb. Power Pro on a Medium Star Aerial or Black Tip rod. I have a mix of Penn Fierce, Battle, and Spinfisher reels in this size range and all perform very well. I recommend using larger chunks, 3-4" chunks of Mullet, Ladyfish, or half a Blue Crab, and step up to a 4/0 Owner circle hook or a similar Eagle Claw or Mustad hook. The Bulls hit like their namesake and increasing to a 3' 40lb. mono leader will give a better chance of landing these dinosaurs! When fishing the more turbulent waters of the Sebastian inlet, I will cast net for greenies (Threadfin Herring/Sardines), Mullet, or Pinfish instead of the cut bait. Then I rig with 3-4oz. leads. Two dozen live greenies and a good anchor will give you a few of the best hours ever on a fall day outside the jetty at Sebastian! 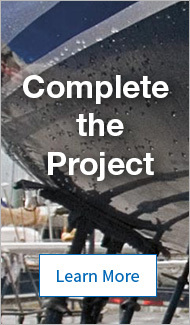 Each of the methods above will work when fishing around docks and seawalls. 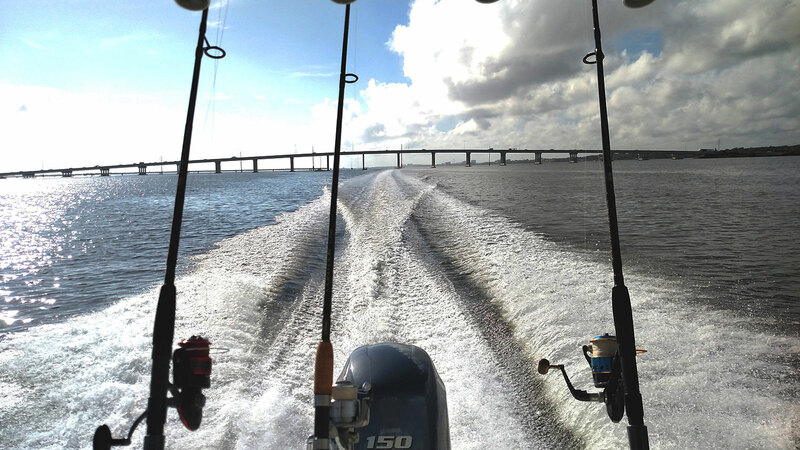 I have some favorite spots in the Indian River where I can sink my Power Pole Dig-in Anchor and cast baits to docks on both sides of the boat, float a few live shrimp off the transom, and prepare for chaos. I suggest mixing different baits and techniques to determine your own favorite baits, lures, and methods! Dan Matarazzo fell in love with fishing at the age of five while fishing at his family's summer home on Silver Bay in Green Island, New Jersey. When he was 11, his family moved to Melbourne, Florida where fresh water fishing opportunities were plentiful. He was introduced to offshore fishing about 23 years ago when he began accepting offers to join West Marine customers on their offshore day trips. Immediately he was hooked and began sharpening his trolling skills by attending seminars, listening to tackle industry professionals, and learning from West Marine customers and employees. In 1995, Dan landed a Wahoo weighing in at 90.25lbs! It was the largest Wahoo caught out of the Sebastian Inlet in almost 20 years. It would be 12 more years before someone else broke that record. Eleven years ago, Dan was introduced to inshore fishing for Redfish, taking most of his fishing activities from offshore to inshore. 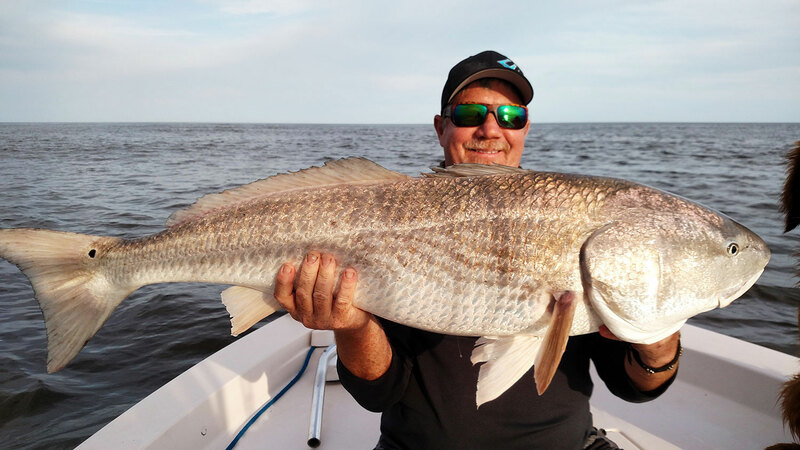 He has fished throughout Florida's East and Gulf coasts as well as the Georgia coast in pursuit of Redfish and Trout. In 2013 he became the owner of a Sea Hunt BX22BR bay boat allowing him to support both his inshore and offshore passions. 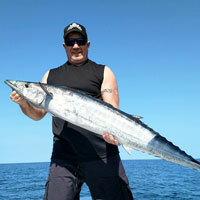 Dan fishes almost 50 days of the year and over the past few years he has caught more than a dozen Wahoo! Many anglers fish for years without being able to land one of the elusive Wahoo.